We are happy to announce that the enhanced Corporate Portal will be going live on October 20! This enhanced interface will replace the current interface for the Corporate Portal. Over the last couple of months, this interface has been available as a beta (details found here). 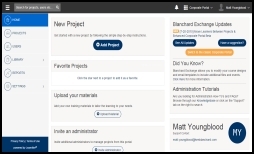 New features are included, such as an optimized screen for mobile/tablet devices, the Learner Move function which allows Administrators to move Learners between projects, and more! Note that all current functionality available in the existing interface will continue to be present in the enhanced Corporate Portal. Separately, the administration process for setting up and managing a project has not changed. If you have not experienced this interface, yet, and wish to try it before October 20, please see the screenshots on the right displaying the toggle listed on the Corporate Portal home page. This toggle allows you to switch between the two interfaces. 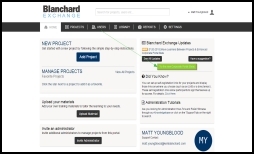 If you have any questions regarding this update, please reach out to your Blanchard Exchange Support Contact.